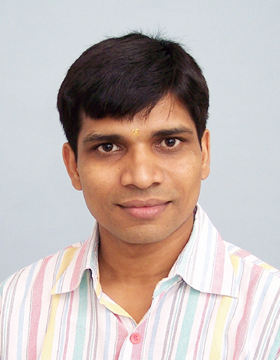 Bhagyendra Patel is Assistant Editor Gujarati at National Book Trust, India in New Delhi. At NBT he has edited and developed about 200 Gujarati books written and translated by various authors, compilers and translators on various subjects already published. From NBT he has organized nearly 60 literary programmes on different topics and themes in Gujarat as well as in Mumbai and Delhi in which more than 150 scholars including author, translator, poet, journalist, artist, illustrator, etc. actively participated. He has translated about 40 books mostly for children and compiled and edited some general books published by NBT, Scholastic, Star Publications, Diamond Books and some others. He express opinions and contributes articles on various subjects which has published in various Gujarati and the national/international Hindi and English newspapers, magazines and periodicals. Bhagyendra Patel is also a Gujarati News-reader with All India Radio, New Delhi, on assignment basis. All India Radio Gujarati national bulletins being broadcast from New Delhi are relayed on Akashwani Ahmedabad, Vadodara, Rajkot, Bhuj and Mumbai kendras and also available on the internet. He has lent his voice for several Radio and TV commercials spots. He has narrated and played various characters voice-dubbing for various Radio and TV sponsored programmes, serials and films on various subjects. He also performed acting in some episodes of a DAVP-Doordarshan TV serial. Bhagyendra Patel is a life member of Shri Delhi Gujarati Samaj (Regd. ), Delhi. 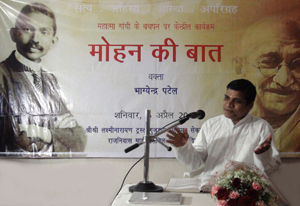 He assisting, coordinating and taking part in various literary and cultural activities organised by Shri Samaj. He has been nominated by KVS as Member (Parent category) in the Managing Committee of Kendriya Vidyalaya, Sector 3, Rohini, Delhi. He is also a member of the Gargi Vidvat Parishad of the Soorya Sansthan (Regd. 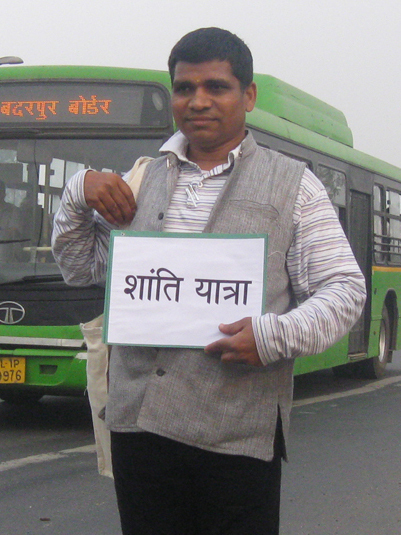 ), Noida, Uttar Pradesh. He also served as a judge in literary and cultural competitions held at various schools and institutions.